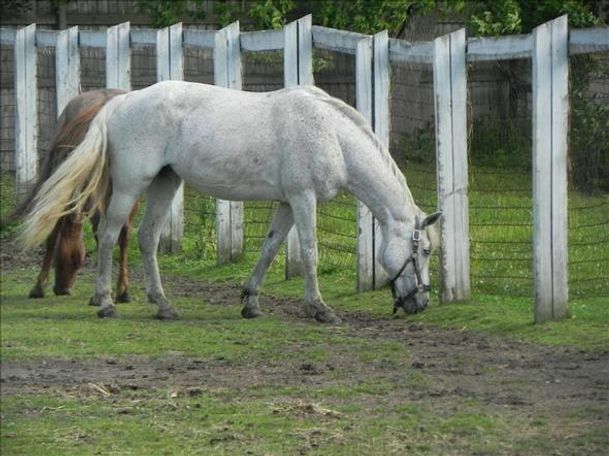 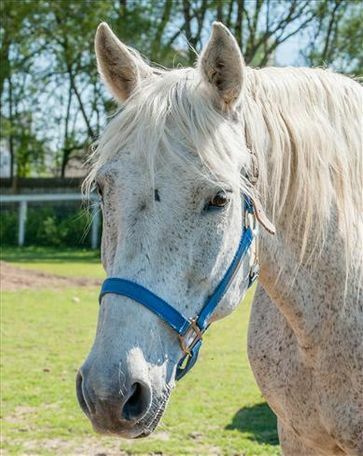 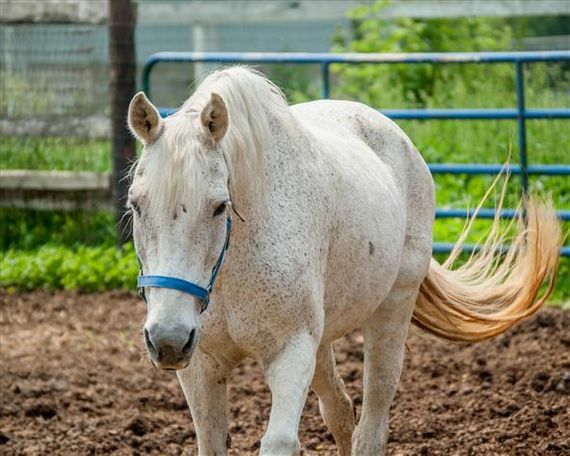 Lady Godiva is a beautiful fleabit grey Quarter horse-cross mare who came to us with her "candy bar" buddies Baby Ruth, Butterfinger, Mr. Goodbar, and Twix from a downstate animal control investigation into neglect. 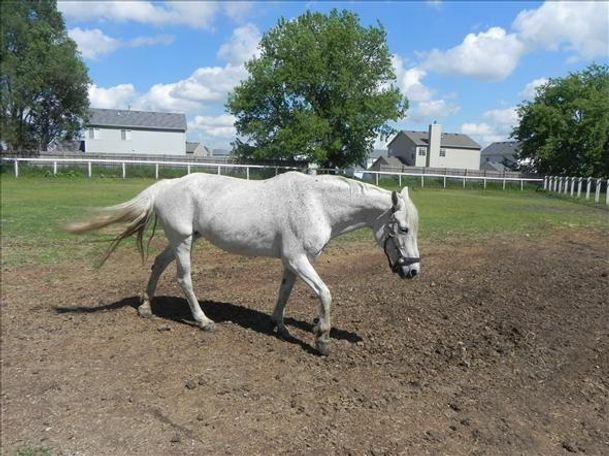 She stands at 14.2 hands and is a strong, but curious mare. 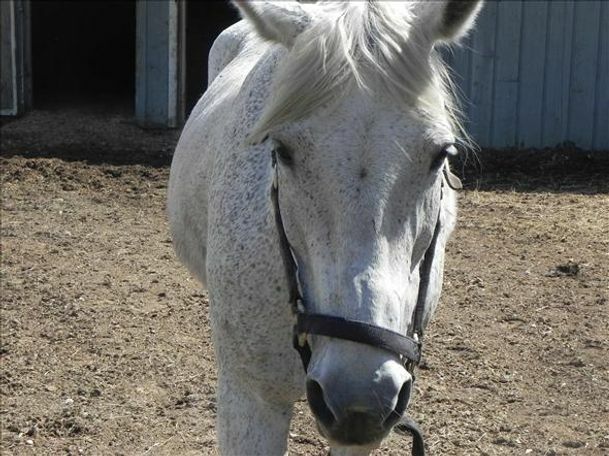 At HAHS, she handles well to be caught, groomed, and for the vet. 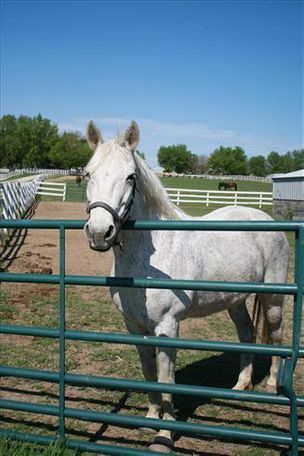 She also stands well for the farrier, as long as you go slowly. 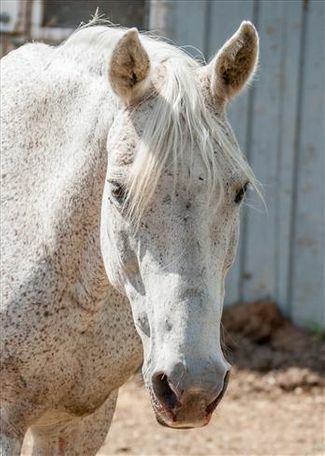 Lady Godiva is a sweet girl, but gets nervous at times and needs a gentle hand. 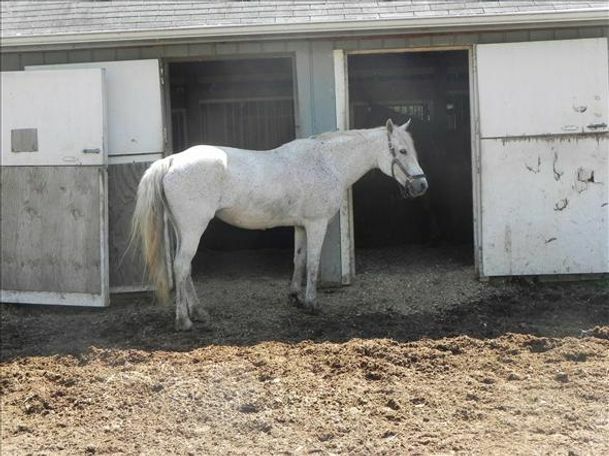 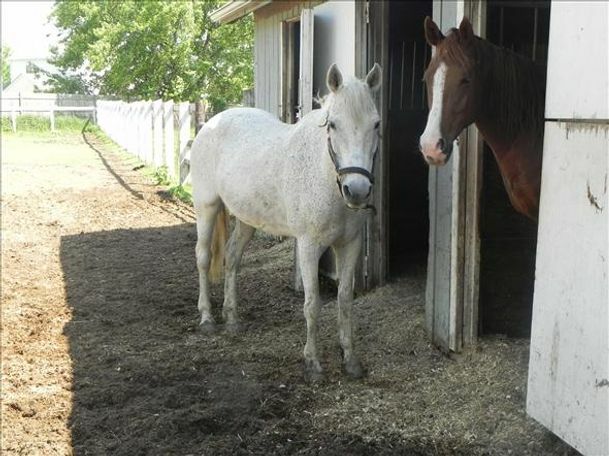 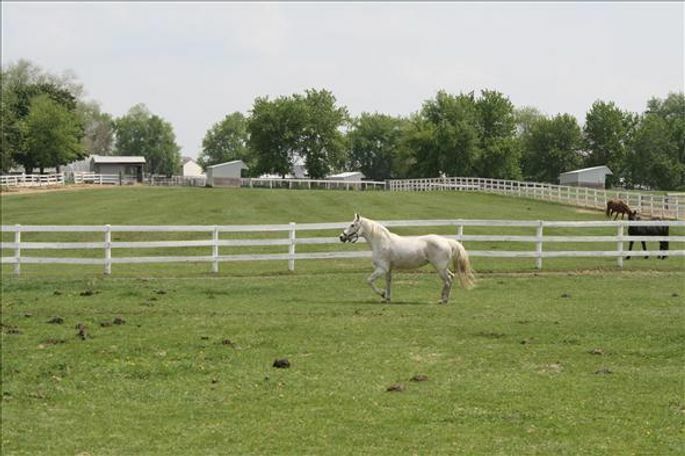 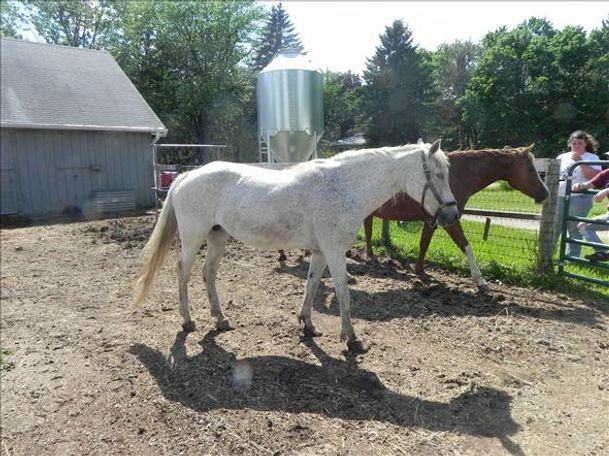 She is also available as a foster horse!